The beginning of college can be a tumultuous and confusing time for many young people. 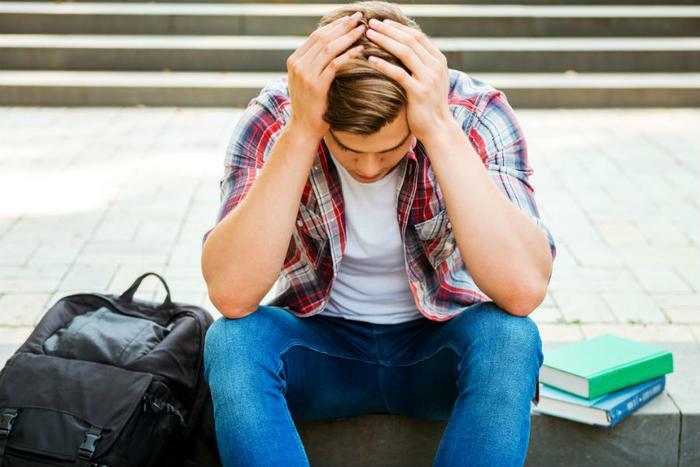 It may seem like the trajectory of one’s life hinges on choices made at this young age, and a report shows that this is negatively affecting the mental health of college students around the globe. Researchers from Columbia University found that over one-third students in eight industrialized countries showed symptoms consistent with a diagnosable mental health disorder. They point out that the finding could have huge implications. “While effective care is important, the number of students who need treatment for these disorders far exceeds the resources of most counseling centers, resulting in a substantial unmet need for mental health treatment among college students,” said Dr. Randy P. Auerbach, the study’s lead author. The researchers came to their conclusions after examining data from an initiative run by the Word Health Organization (WHO). The information covered nearly 14,000 students from 19 countries, including the United States. The researchers say that over one-third (35 percent) of students reported having symptoms that were linked to at least one mental health disorder. The most common was major depressive disorder, with generalized anxiety disorder coming in second. The findings are worrying in light of previous research, which shows that only 15-20 percent of students will seek help from a counseling service at their college or university. Even at that lower percentage, the researchers point out that resources are nearly tapped out. “University systems are currently working at capacity and counseling centers tend to be cyclical, with students ramping up service use toward the middle of the semester, which often creates a bottleneck,” Auerbach said. While many of these counseling centers may be under-equipped to handle all student cases, Auerbach says that using other tools to get help is a viable option, especially for students who may be reluctant to come forward and talk to someone in person. The full study has been published by the American Psychological Association.